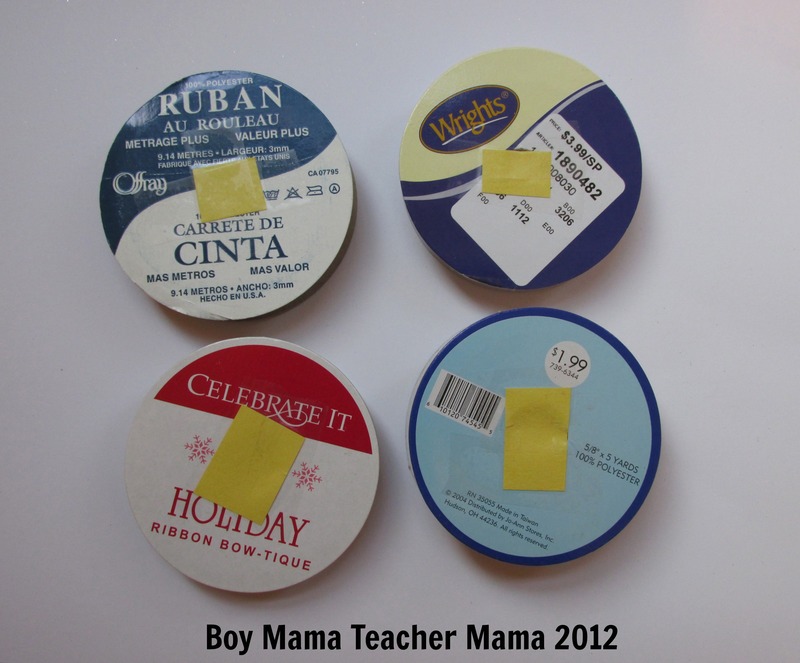 I made these noisemakers every year for quite some time with my students and this year, I made them with my boys. 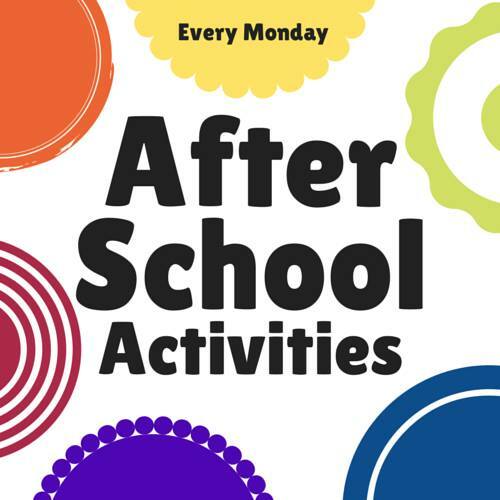 There is a bit of prep work involved, but the end product is so great that it is worth it! Trace the ribbon spools on colored paper. 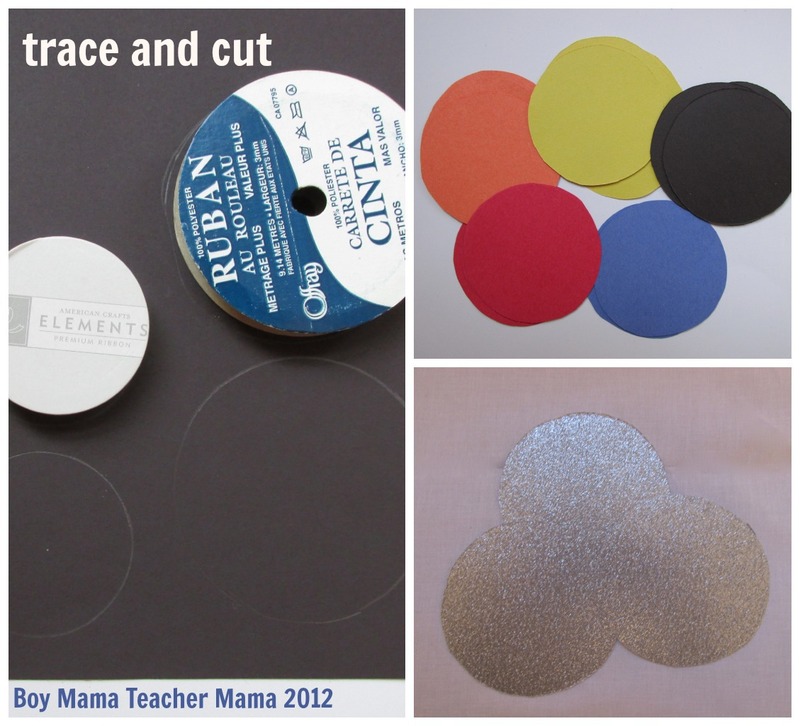 Make enough circles to cover both sides of all the spools you plan to decorate. 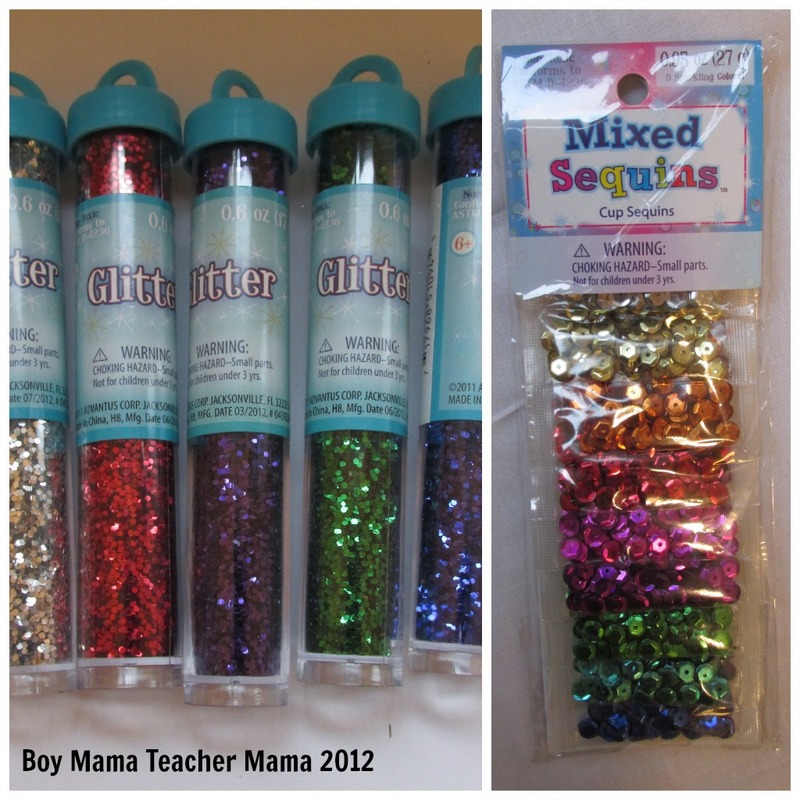 I used both construction paper and some sparkly, glitter paper I had on hand. 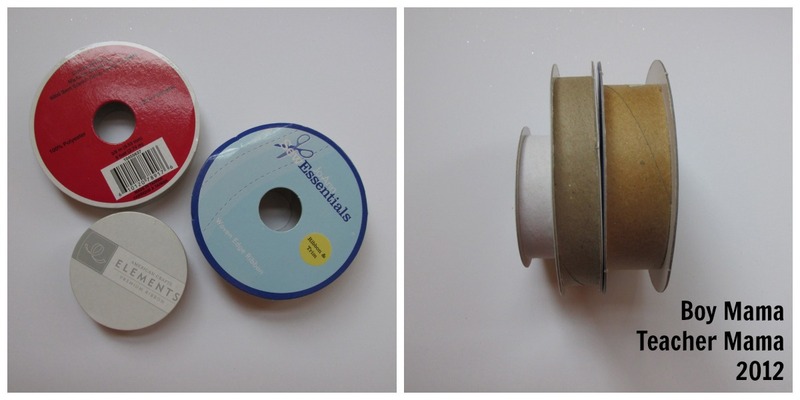 Take one spool and cover one of the holes with a scrap of paper and fix it to the bobbin with some clear tape. Fill the bobbin with rice. Then cover the other hole with paper and tape. 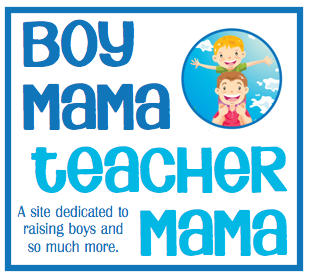 I prepared 4 of these for my boys to decorate. 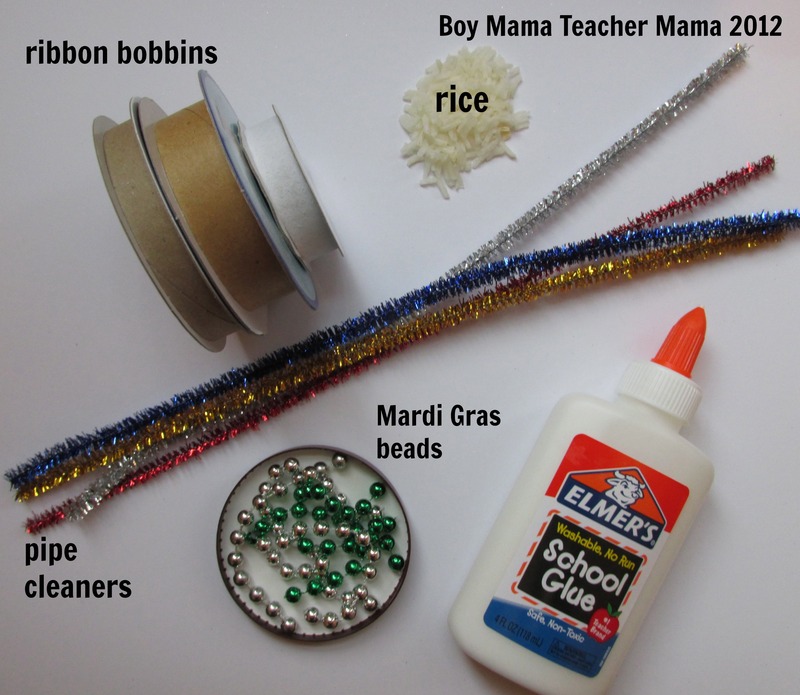 Allow your child to choose what sort of material he wants to “cover” the sides of the spools and use hot glue to afix it around the spool. 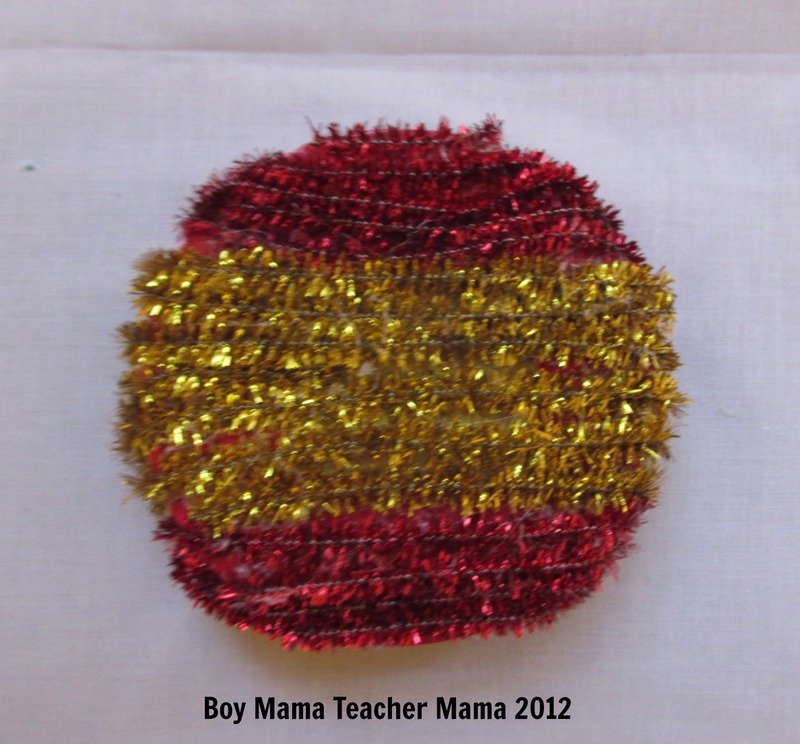 Then have your child cover each side of the spool with colored paper. Elmer’s Glue works best here. Decorate! 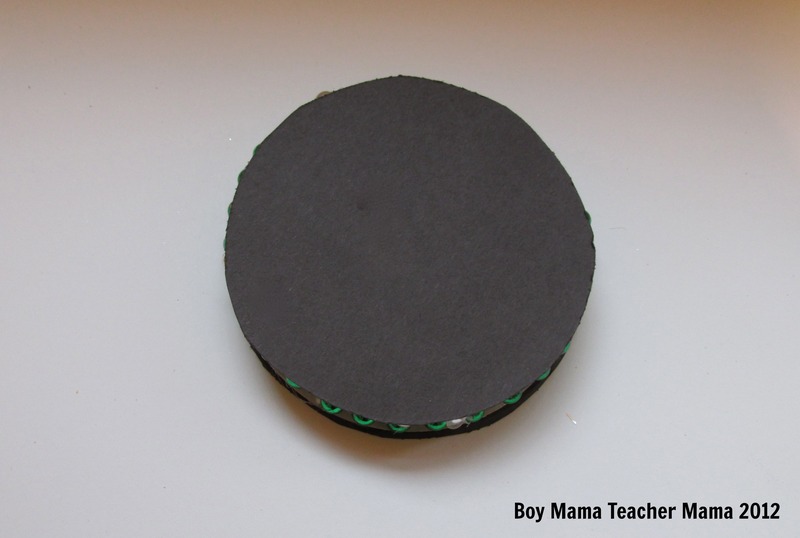 You will have to decorate one side at a time so it can dry OR you can decorate the circles of paper, allow them to dry and then attach them to the spools. Voila! 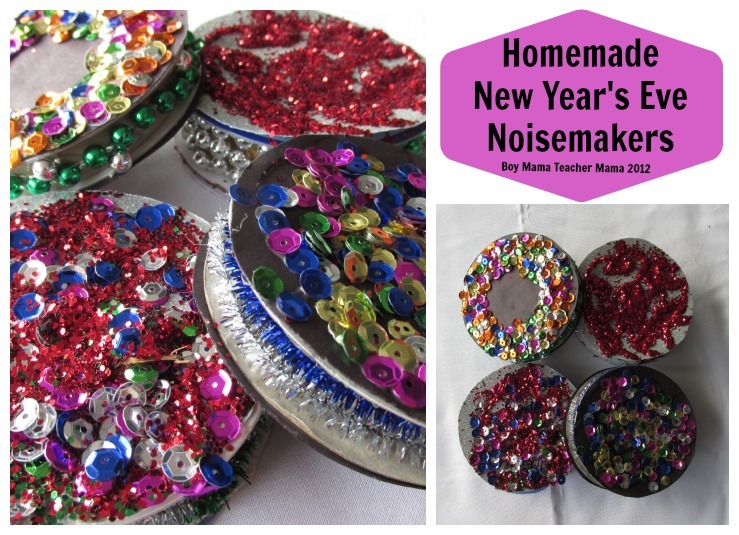 Now you have your very own, homemade NewYear’s Eve noisemakers. 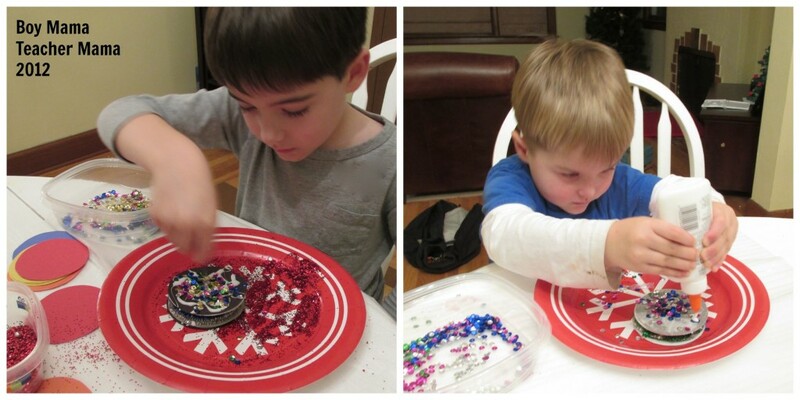 This one we covered completely with pipe cleaners! Kinda cool huh? Fantastic! Love these! 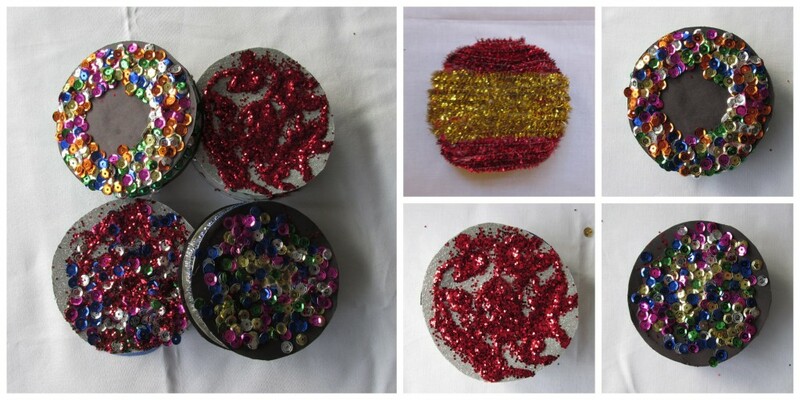 These will be perfect for this year’s New Year’s Eve party! These are so pretty! 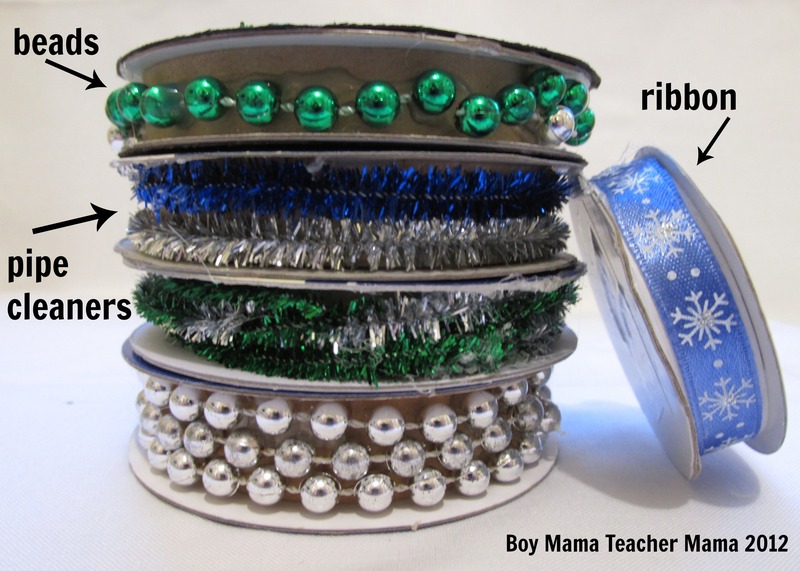 What a great way to use ribbon spools! Happy New Year!